Washington University's analysis of data from Missouri utility companies shows high levels of contamination near ponds power plants use to dump waste from coal combustion. Missouri solid-waste officials expect to start regulating them this fall. They discovered that the Labadie Energy Center — Ameren Missouri’s largest coal-fired power plant — has two basins packed with byproducts from coal combustion. The waste includes toxic, cancer-causing chemicals such as arsenic, mercury and lead. St. Louis Public Radio's Eli Chen reports on evidence of groundwater contamination near pits utility companies use to dump waste from coal combustion. "Wherever we have data, there's contamination"
Maxine Lipeles, director of the Washington University Interdisciplinary Environmental Law Clinic, represents the Missouri Sierra Club and the Labadie Environmental Organization. She and researchers at WashU analyzed groundwater monitoring data taken near Missouri coal ash ponds that are receiving waste. For example, lawyers found that groundwater tested near Ameren’s Rush Island Energy Center in Festus showed arsenic levels that are 25 times the federal standard. Near Associated Electric Cooperative’s New Madrid plant, tests detected levels of boron — which can damage multiple human organs — at 10 times above the state groundwater standard. Officials with Empire District and the Associated Electric Cooperative said in statements that they are complying with the federal coal ash rule. Kansas City Power and Light officials say that more studies are needed to confirm the link between excessive contaminant levels and ponds at their Montrose and Sibley plants. Ameren Missouri is closing all of its coal ash ponds by 2023. The company chose to close the ponds by leaving the waste in place and some will receive retrofitted liners. So far, only one at the Meramec Energy Center in south St. Louis County has been fully closed. 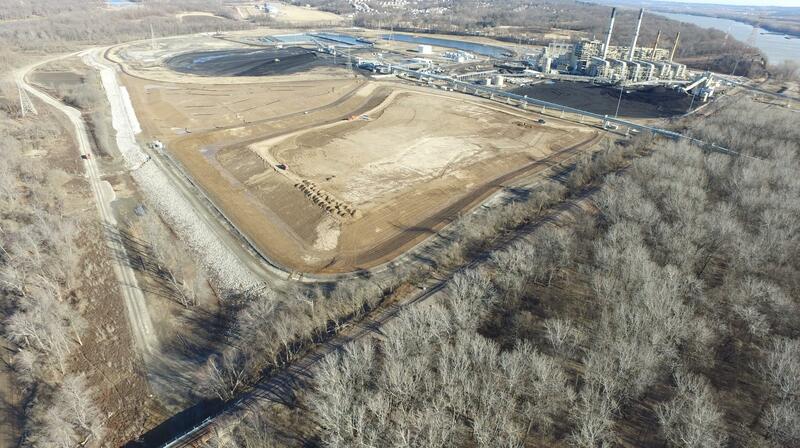 Will Missouri's coal ash waste regulations be strong enough? “If you can show that people are not drinking the contaminated groundwater — and you don't expect people to be drinking them in the future — and the groundwater isn't connected to a drinking water supply, then you don't have to clean it up,” Lipeles said. Patricia Schuba, local resident and founder of the Labadie Environmental Organization, has tried to raise awareness about the risks that coal ash ponds could pose to human health and the environment. Nancy Campbell and her mother, Ruth Campbell, want Ameren Missouri to dig up and take away the waste in coal ash ponds. But they aren't certain whether to be worried about groundwater contamination potentially polluting the well they use for drinking water. Coal-fired power plants that dump toxic waste in ponds could be required to monitor groundwater near the ponds and landfills under a plan released by the Missouri Department of Natural Resources. Under the plan released this month, utility companies would have to test every six months for harmful toxins that are typically found in coal ash waste, such as arsenic and mercury. In recent years, Missouri utilities have closed or have announced that they will soon close many of their coal ash ponds. The utility can choose one of two methods: closing the pond by removing all of the waste or by leaving and capping the waste in place. Missouri has 36 coal ash ponds, according to MDNR. Many have existed since the 1970s and 1980s and do not have liners that keep contaminants from seeping out into the environment. Environmentalists plan to raise concerns at a public hearing tonight about water-quality issues caused by Ameren Missouri's Rush Island Energy Center in Festus.